Huawei is famous for its products based on network, like network gateway, router and etc. Its mobile products have also won a large market share in recent years. When you switch from iPhone to Huawei phone, like Huawei P9, the very first thing for you to do is export existing data from iPhone to new Huawei P9. This guidance will list some great solutions for you to transfer files from iPhone to Huawei. Before we start to introduce the ways to realize the transfer goal, first let’s check out the differences between iPhone and Huawei in supported media formats and other aspects. As we all know that iPhone is designed and developed by Apple Company, which is headquartered in California, USA. Huawei is a brand of Huawei Technologies Co., Ltd., which is a Chinese telecommunications-equipment and consumer-electronics company based in Shenzhen, South China. 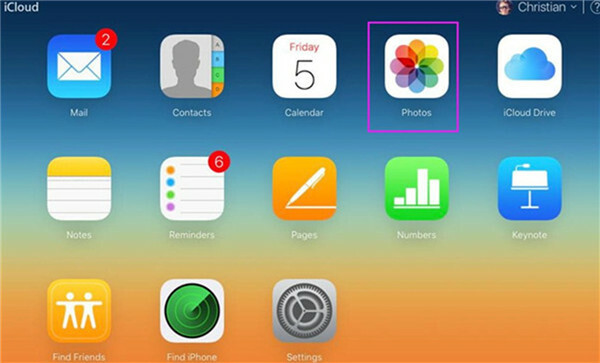 The photo formats that Apple supports include tif, jpg, jpeg, gif, png, ico, cur, xbm, bmp and etc. Huawei supports jpg, png, gif, bmp and other kinds of photo formats. In fact, with the help of some third-party photo apps on Apple and Huaiwei, almost every format of photo can be opened or edited, which is quite convenient. The video formats that Apple supports contain MP, AVI, NAVI, DV-AVI, DIVX, MP4, 3GP, MOV, ASF, WMV, RM, RMVB and etc. Huawei can support the video formats of MP4, 3GP, WEBM, MKV and so on. The audio formats that Apple supports cover MP3, AAC, AAC+, eAAC+, AMR, WAV, MID, OGG, M4P, M4V, M4P, MKV and so on. You should also know that the original music Apple supports is in the format of M4A and its ringtone only supports the format of M4R. Huawei also can support various kinds of audio formats, such as MP3, MP4, 4GP, OGG, AMR, AAC, FLAC, WAV, MIDI and so on. In the aim of fixing how to transfer files from iPhone to Huawei, here I would like to recommend you to use Leawo iTransfer as the main tool. This software can be used to cope with various kinds of transfer issues. Its powerful functions have won the recognition of lots of users around the world. When it comes to the issue to transfer from iPhone to Huawei, Leawo iTransfer will surely be your first choice. Here I would like to take how to transfer contacts from iPhone to Huawei P9 for instance to show you its great features. First you need to transfer iPhone contacts to Huawei P9 storage folder on computer to begin to solve how to transfer contacts from iPhone to Huawei. The detailed steps are shown below for your reference. 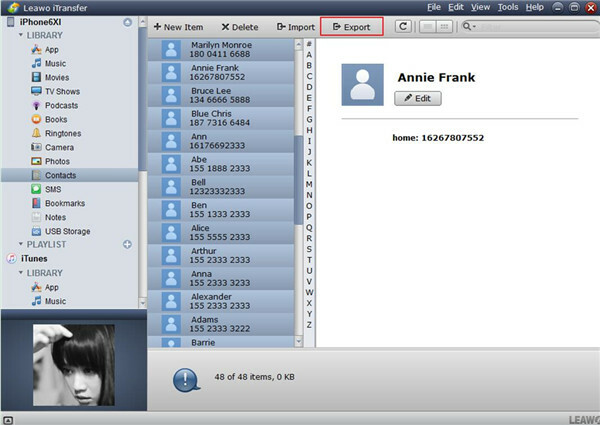 Open iTransfer and then insert iPhone into PC. It will detect iPhone info automatically. Connect Huawei P9 to computer as well, and it will be recognized as one external hard drive. Hit “iPhone icon > LIBRARY > Contacts” to check out all iPhone contacts on computer. Check the contacts that you desire to transfer to Huawei P9 and then click on “Export” button. 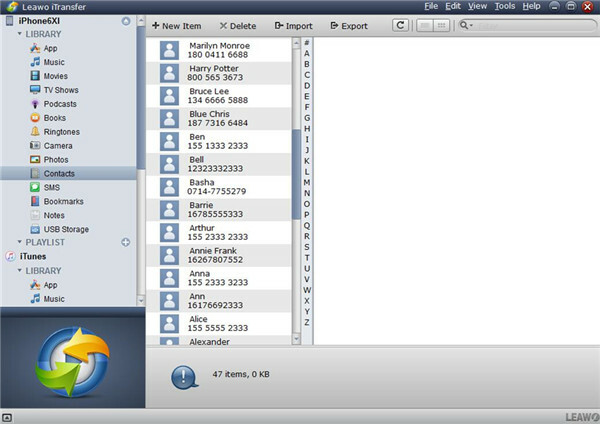 A dialog will show up to ask you to choose a computer folder to save the exported iPhone contacts. After you set the storage folder of Huawei P9 as the output directory well, you can choose VCF format to store iPhone contacts for later use. In order to reach the aim of dealing with how to transfer contacts from iPhone to Huawei P9 successfully, you need to continue to import the VCF file to Huawei P9 with the help of the following steps. 1. Go to click on contacts icon on home screen of Huawei P9 and then hit “Menu> Import/Export> Import from storage”. 2. 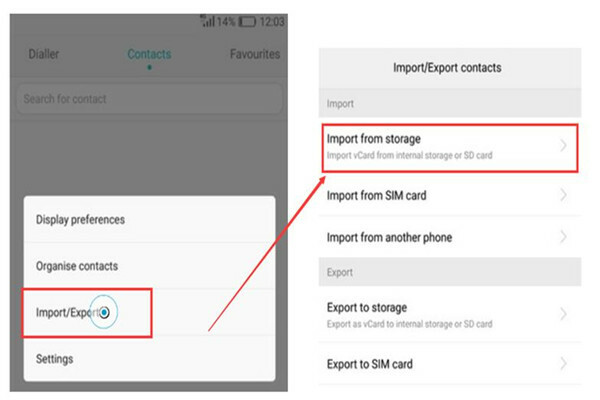 Choose the iPhone contacts that you have just saved on storage folder, and then hit “Import” button to begin to import all iPhone contacts to Huawei P9. This tool can also be used to transfer other files from iPhone to Huawei P9. If you desire to have a try to export iPhone photos to Huawei, you just need to choose “Photos” tab to realize your goal. You can recommend this amazing software to your friends in case they need. However, if you want to transfer iTunes data to Huawei, you need first download TunesCopy to transfer iTunes M4P music to Huawei Mate 10. As for how to transfer data from iPhone to Huawei P9, iCloud can also be used to address this issue. Although it is not so convenient as iTransfer, it is also worth trying. In this part, photos will be taken for example. Follow me to check out the steps listed below to see how to make it. 1. On iPhone, hit “Settings > Name/Apple ID > iCloud> Photos” and then turn on the feature of “iCloud Photo Library” to sync iPhone photos to iCloud at once. Make sure your iPhone has been connected to good Wi-Fi network. 2. Connect Huawei P9 with computer and then go to iCloud.com. Sign into this website with same Apple ID and password on iPhone. Hit “Photos” tab on the main interface. 3. When you see iPhone photos in the space of iCloud, you need to choose the pictures you need. Hit the download icon in the interface and choose Huawei P9 storage folder as the output location. After a moment, you can access iPhone photos on Huawei P9. To transfer iPhone to Huawei P9 via iCloud calls for much time and good Wi-Fi network, which is not so wonderful as the function of iTransfer. In order to allow you to fix how to transfer from iPhone to Huawei with various solutions, here I would like to introduce iTools for you to make use of. This tool enables users to transfer files between iOS devices, Android, and computers easily and quickly. You can now download it to give it a try with the reference of the following steps. Here I will take music for instance. 1. Connect iPhone and Huawei to computer with proper USB cables. Run iTools on computer. 2. Click on “Device> Music> Music” tab to check all songs on iPhone. 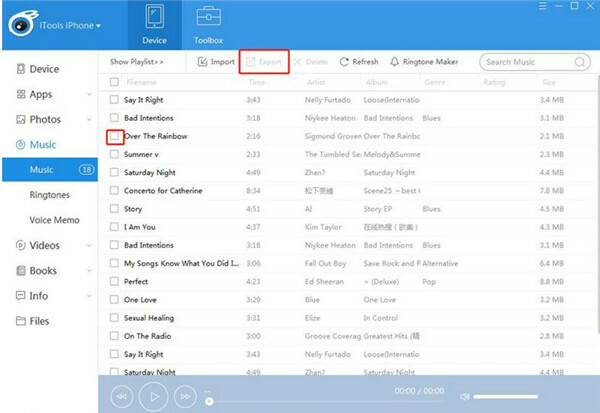 After that, you need to check the songs you want to transfer to Huawei and then click on “Export” button to choose Huawei storage folder as the output location to save the exported music. 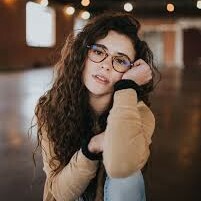 Wait for a few seconds and the iPhone songs will be available on Huawei. To transfer other data to Huawei from iPhone, this software can also be applied. Email can also be used to transfer data from iPhone to Huawei, which is known as one traditional method to do so. Here I will show you how to reach this target with several simple steps. 1. 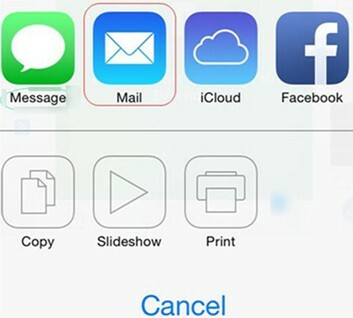 On your iPhone, first you need to click to open a file that you desire to transfer to Huawei and then hit the share button to call out the methods to share the file. Click “Mail” option in the pop-up panel. 2. In the next window, you need to fill in the necessary info in the new Email and then send the iPhone file to another Email box of yourself. 3. 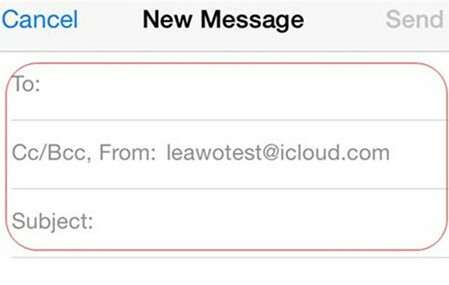 On Huawei device, you need to tap on the Email app and then sign into the Email address to receive the new Email that contains the iPhone file. Thus, you can download the iPhone file to Huawei directly. This method is a bit time-consuming, and the Email attachment size is limited. Therefore, if you have lots of iPhone data to be transferred, you’d better choose other solutions to help you. If you want to try WiFi to finish the data transfer task from iPhone to Huawei, AirBlue Sharing app will be a good choice for you to make use of. This application needs good Wi-Fi network and a short distance between iPhone and Huawei, which can help you to sync files from iPhone to Huawei with ease. Here I’d like to take pictures for instance to show you how to apply it. 1. 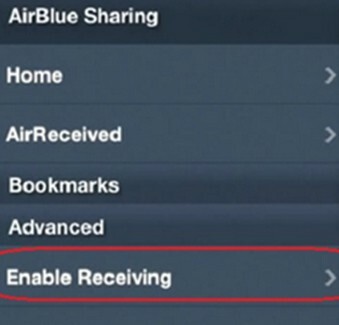 On both iPhone and Huawei, you need to download and install AirBlue Sharing app. 2. On Huawei, run AirBlue Sharing app. On iPhone, launch this app as well and then go to the “File Manager” tab in it to select the pictures you want to transfer to Huawei. After you hit on one picture, a panel will appear with the devices that you can send the picture to. Click on “Huawei” from the device list, and then you need to confirm the transfer action on iPhone. 3. On Huawei, you need to swipe to the right to see the special menu in the AirBlue Sharing application. Hit on the tab of “Enable Receiving” and then you will see a notification on Huawei, which says iPhone is sending photos to Huawei. Hit on “Accept” button to save iPhone pictures on a local folder of Huawei. In a few seconds, you can solve how to transfer data from iPhone to Huawei via WiFi successfully. The five solutions that I offered to you in this guidance are all usable, and you can choose the one you like to deal with your transfer issues. I would like to recommend you try iTransfer, for it’s the most powerful tool among all the 5 methods shown above.